As promised in our post on major mistakes, here’s our cut at a definitive list of capsize causes and solutions for small boat sailors. Capsizing is a fertile topic: there are dozens of ways to pitchpole, broach, death roll, or just plain tip over. We compiled this list from our scow sailing friends, internet sources, and my own admittedly vast experience with capsizing. I’m sure there are more, so please share your insights – login and comment below or email us at mail@sailzing.com. It made sense to group the list into categories. We chose five main causes and listed the physical errors and tips associated with each. In this installment we’ll cover too much heeling force and not enough righting moment. In Part 2, we address off-wind balance issues. We finish with Part 3 on waves and avoiding other boats. To stay upright, you have to balance the wind’s heeling force with righting moment (i.e., hiking). You can only hike so hard, so you must reduce the heeling force when overpowered. This sounds simple, but in the heat of battle, sailors typically make either or both of the following mistakes. As the saying goes, “Ease, Hike, and Trim” is a lot better than “Hike, Hike, and Swim.” The fastest (and driest) sailors ease the mainsheet aggressively in puffs. Here are the typical causes of failure to ease. Head in boat. Anticipating the puff and easing as it hits gives you more margin to capsize. As a bonus, it also makes you faster. Mainsheet not free. Lots of causes and solutions for this one. Cleated. Simple solution – don’t cleat it. I tape my mainsheet cleat shut to prevent accidental cleating. Knotted. One tip is to tie the free end to an eye in the boat to prevent a real knot from forming. Block twisted. If the mainsheet blocks aren’t parallel to the boom, the mainsheet can get bound up when you try to ease. This happened to one of our MC Scow national champions. The Harken standard blocks have a lever or set screw to lock the blocks parallel to the boom. Tangled around foot. This is a tough one. Practice keeping your mainsheet off your feet as you trim in. Wear shoes that don’t catch the sheet. Too thick to run through blocks. Thick mainsheets are easy on the hands, but they don’t run through the ratchet blocks easily. Toughen up your hands and use a narrow mainsheet. Improper grip. Hold the mainsheet in your fist with the thumb side toward your chest. To ease rapidly, just release your grip. Too much purchase. If you have too much purchase on your mainsheet, you won’t be able to ease rapidly. Anything more than 5:1 on an MC Scow is probably too much. Boom not free to move to leeward. C Scow sailors know that boats with running backstays will capsize if the leeward backstay is cleated. Some C Scow sailors remove their backstays in light to medium air. You can’t always ease rapidly enough, so you should also avoid unforgiving situations, such as the following. Over-heeled. Sail the boat flat to maximize margin. Traveler on center. Having the traveler on center is unforgiving in breeze. Sail with your traveler down to reduce the side force of puffs. As a bonus, sailing with traveler down and the main sheeted hard is faster than traveler up and sails eased. Over-sheeted for the point of sail. If you start sheeting before rounding the leeward mark, you’re a sitting duck for a puff when you’re broadside to the wind. Instead of sheeting in early, learn how to coordinate sheeting with your turn. Losing grip on tiller. I’ve had my comical and embarrassing moments with losing the tiller and I’m sure many others have as well. This doesn’t fit neatly in any one category, but here are some common mistakes. While tacking or gybing. Don’t let go of the tiller extension when you tack or gybe. Learn how to switch hands. Otherwise, you may bear off too far, or collide with another boat. While standing or resting. If you need to let go of the extension, make sure it doesn’t get caught under the deck. If it does, the boat will be headed for trouble before you know it. Inactive sitting position. Ever rolled to windward hard in a lull, or tipped over to leeward in a puff? Maybe you were sitting too passively. Sit so you can react: feet planted, quad muscles engaged, upper body ready to move in or out. There’s a nice clip in the Steve Cockerill video at 07:45 on this. Out of position. Bad things can happen when the skipper or crew is out of position. It might be fun to collect a list of examples, but I ran out of time and didn’t want to embarrass myself. Think ahead before you get too far out of position. Too much weight in one place. A heavy skipper-crew combination sitting on the rail can be a problem, especially when sailing downwind. We’ll cover more about downwind dynamics in Part 2. Falling in the boat. Falling in the boat changes the righting moment instantly and causes lots of capsizes. Every sailor needs to work on balance and combatting clumsiness. Water in the boat. Water in the boat always goes where you don’t want it: to the low side if you heel up, forward if you plow into a wave, etc. Don’t tolerate water in your boat. 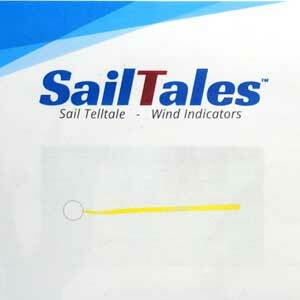 Sail with your bailers open while racing and especially between races.